Iaidō (居合道) is a Japanese martial art that, through solo forms, teaches use of the Japanese sword. Iaidō emphasizes being aware and capable of quickly drawing the sword and responding to a sudden attack. 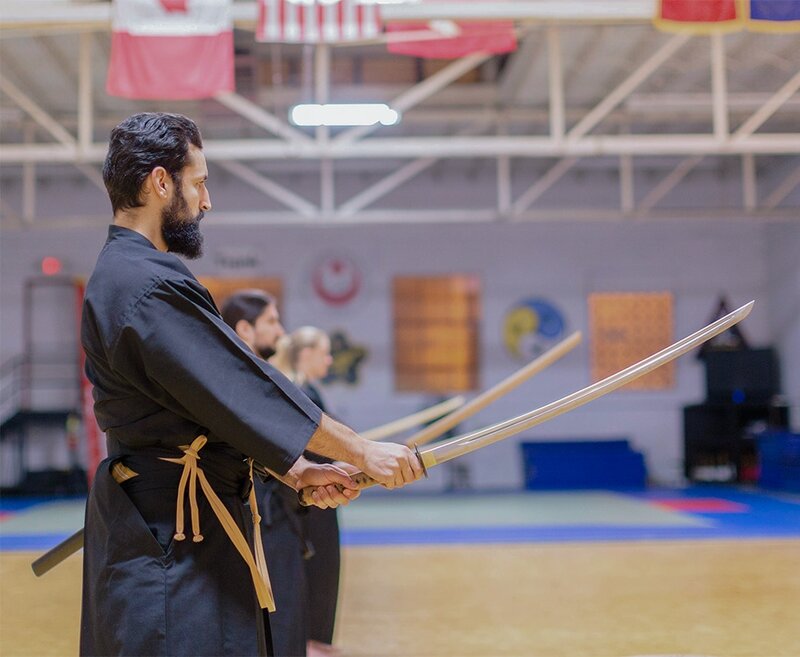 In our classes, beginning practitioners of iaido start learning with a wooden sword (bokjen/bokutō) and eventually transition to the blunt edged sword, called iaitō. 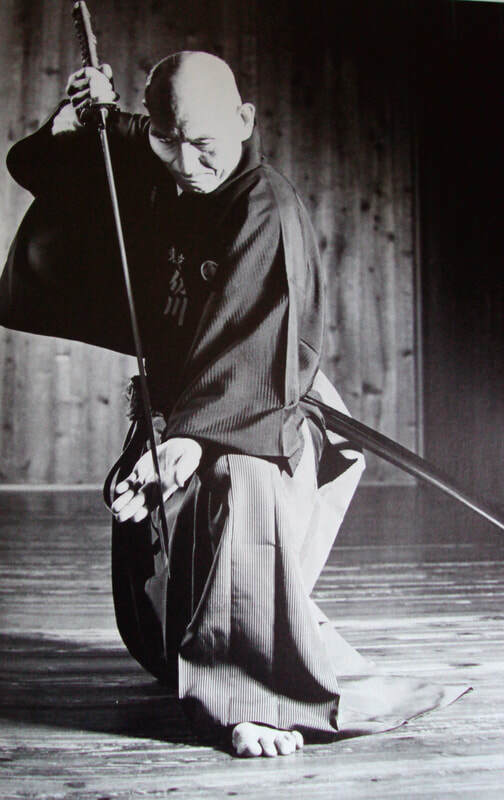 In the book, Japanese Swordsmanship: Technique and Practice, the authors describe iaido as, "a reflection of the morals of the classical warrior that builds a spiritually harmonious person possessed of high intellect, sensitivity, and resolute will." 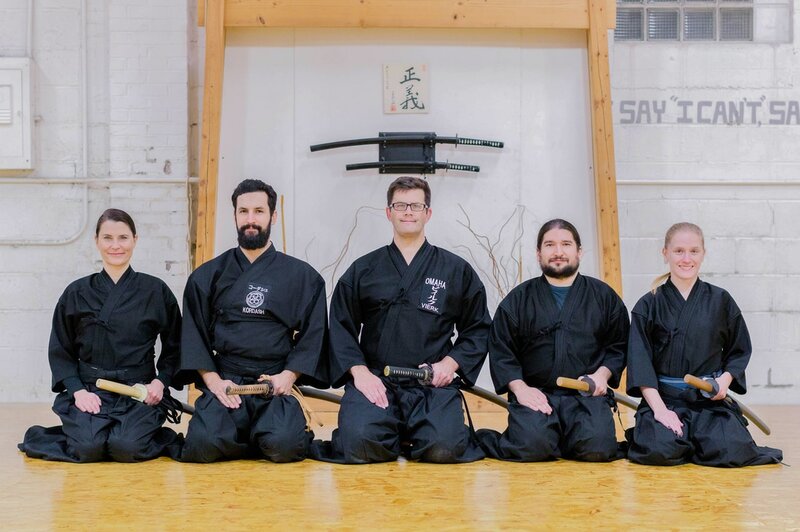 Iaido is a reflection of the morals of the classical warrior that builds a spiritually harmonious person possessed of high intellect, sensitivity, and resolute will. Although there are a few necessary pieces of equipment to study iaido, beginners need not have all of them at their first practice. To start, most students familiarize themselves with the bokuto and how to tie the obi. Below is an overview of the equipment you can expect to need as you progress in iaido. Your sensei will be able to answer any questions you have about iaido equipment and uniforms. An iaito is a metal practice sword typically made of an aluminum-zinc alloy. The edge of the sword has no cutting edge, making it safer for practice in learning cuts, swings, and kata (forms). Iaidoka (iaido practitioners) usually begin learning with a bokuto, and progress to iaito once they have learned several forms. Also known as bokken, bokuto are wooden swords designed in the size and shape of a katana. Bokuto are used as a means of safe practice in learning various cuts, swings, and kata (forms). Iaidogi and hakama are the top and pants worn while practicing iaido. The iaidogi is a black or sometimes blue kimono-style top made of polyester. The hakama is a black or blue pleated piece of traditional Japanese clothing which covers from the waist to the feet. The iaido hakama is actually divided into two leg sections like pants, and is of the type traditionally worn by Japanese horsemen. The obi is a long belt or sash that is wrapped around the body and holds the saya (sword scabbard) in place. Obi are typically made of cotton or silk.